Comedy Of Errors - 2015 Gig!! Comedy of Errors are very pleased to be opening for Pallas at The Classic Grand. This time we have a special treat, with not one but two cracking guitar players. Mark is back with the band and joins Sam on twin lead! 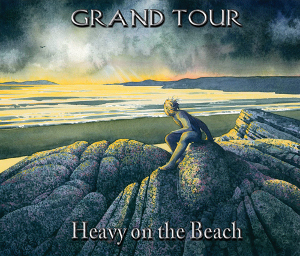 Joe, Bruce and Mark have teamed up with Abel Ganz Co-founder and erstwhile keyboard wizard Hew Montgomery, to release the debut Grand Tour album, entitled Heavy on The Beach. All orders made prior to release date of Mon 2nd February 2015 will recieve a signed copy of the CD.